Defend your house and your honor against overwhelming odds as characters from House Forrester. 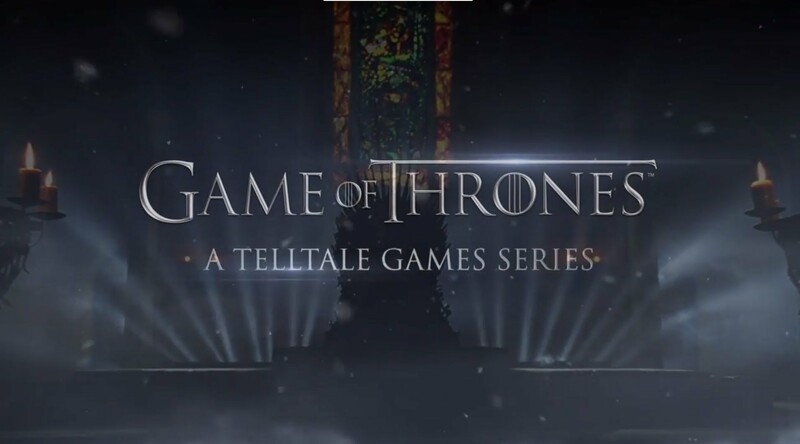 Telltale's newest episodic series is out and it's based on the HBO series Game of Thrones. Players view the war-torn world of Westeros through the eyes of House Forrester, a minor house located in the North. You'll plays as three separate characters connected to House Forrester in the first episode titled "Iron From Ice": Gared Tuttle the squire to Lord Forrester, patriarch of House Forrester, Mira Forrester, daughter of the Lord and handmaiden to Margaery Tyrell in King's Landing, and Ethan Forrester, the third-born son of Lord Forrester residing in Ironrath the seat of House Forrester. This highly anticipated game attempts to replicate the intrigue and suspense of the show and for the most part it succeeds admirably. The writing is quite good, and I found myself on the edge of my seat in some parts. Just like the show, the game revels in making you feel uncomfortable and vaguely like no matter what happens things aren't going to turn out picture-perfect. The voice acting is great and is honestly of TV quality, almost matching the show in the actor's conveyance of their particular characters. The first episode did a great job of making me anticipate the second and I can't wait to see what House Forrester's fate will be. The graphical quality varies from scene to scene. While some settings looked great, well-suited to the oil painting look that Telltale has gone for in this series, some looked odd with graphical artifacts popping up and inconsistency in the art style. Like previous Telltale games, the characters are sometimes overly emotive to the point of awkwardness. This was easier to forgive in Telltale's previous games, but one of Game of Thrones claims to fame is its subtlety and intrigue, making this quite distracting, Characters will go from a disappointed frown to a cheerful smile in the blink of an eye and it would have been nice to have more transitional animations to make the effect smoother. The adventure parts that were an integral part of Telltale's previous games are almost completely absent making this more of a TV episode than a game, with absolutely no puzzles to speak of. The syntax of the character's lines can be awkward at times too, as if their triggers weren't set up right. Several times a character would make a statement and after I selected my response my character would say something completely different, or the person I was talking to would respond and make the exact same statement that they just made. Adding to this, playing with subtitles I saw many lines that either were removed or cut down when it came to voice acting. Hopefully a patch can alleviate some of the awkward parts of the dialogue. Lastly, this game is very much for the fans of Game of Thrones. I could never get into The Walking Dead TV show, but I loved the Telltale games because I was provided with context as the game went on. Iron From Ice isn't so kind to those who may not be familiar with Game of Thrones, referencing characters and events with the assumption that the player already knows what's going on in Westeros. Those who haven't watched the show or read the books wil probably get much less out of this game than a fan. As a fan of the show and books, this game was fantastic. Aside from some graphical issues and a few awkward moments with emotiveness and syntax, I adored the experience. However, this game is one to be shared with others on a bigger screen as it plays out more like a multiple choice TV episode than a game, even more so than Telltale's previous entries. Iron From Ice, while being immensely entertaining, is telling of the age of its game engine and Telltale's formula. Luckily the writing and setting is good enough to make up for this, but only if you're a fan of the franchise. For those who haven't spent any time in Westeros before, this game has little to offer. However, due to the wild popularity of the Game of Thrones universe, I felt that deducting too much would be unfair to the game. Hopefully, they get the kinks out of the series with this first episode so that what seems to be like a great story will not be sidelined by technical flaws.